With the news that Black Sabbath’s Tony Iommi has been diagnosed with the early stages of lymphoma, his bandmates would like everyone to send positive vibes to the guitarist at this time. 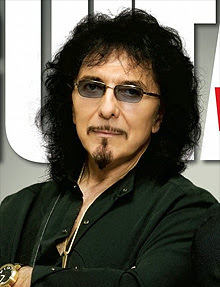 Iommi is currently working with his doctors to establish the best treatment plan--the “IRON MAN” of Rock & Roll remains upbeat and determined to make a full and successful recovery. This comes as Black Sabbath--Ozzy Osbourne (vocals), Tony Iommi(guitar),Geezer Butler (bass) and Bill Ward (drums)—are writing and recording their first album in 33 years in Los Angeles (still set for release this fall) with producer Rick Rubin. They will now go to the UK to continue to work with Tony. Further information will be released as it becomes available. Me acabo de enterar hace poco. Lo bueno es que está en una fase inicial, pero aún así es un mazazo de noticia.